Tira started engraving in 1994 working on Motorcycles in Fairfield, California. Inspired by Master Engravers through the Firearm Engravers Guild of America, Tira expanded her work to firearms, musical instruments, knives, jewelry and a host of unique projects. She has lived in Bucks County, Pennsylvania since 1999. In 2008, Tira began teaching others to hand engrave and demonstrate tools worldwide while continuing to engrave commissioned projects. 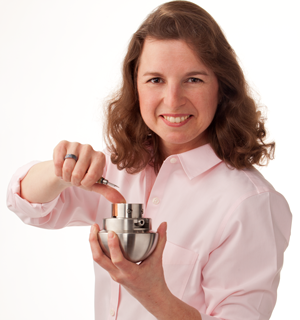 She expanded to selling tools that she uses in 2012 at Engraver.com. She was the first to introduce the Leica A60-F microscope to jewelers and engravers, and she has helped develop the EnSet Hand Engraving and Stone Setting System. Through Engraver.com, she distributes premium quality Swiss tools for Usines Métallurgiques de Vallorbe SA. As the lines of tools that she offered expanded, Tira has also expanded training. Working with Joel McFadden, she offers a variety of courses in engraving, stone setting and design at her studio. Please browse our site to see Tira's work. If you would like to commission her for a project, just contact us!